Hello, baby! 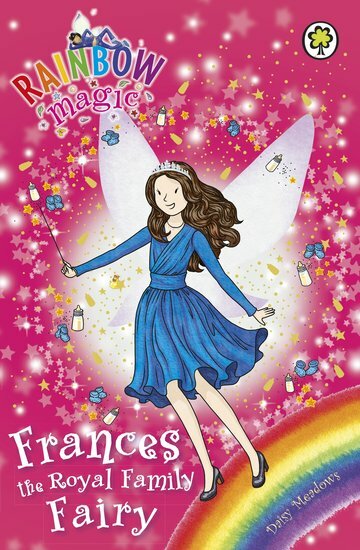 Your magical fairy fix to celebrate that cute new royal arrival. Crowns, thrones, jewels and adorable mini royals. What could be sweeter than that? When busy royal families and their babies need a helping hand, they call Frances. Her special talent: helping little royal brothers and sisters get on. But hang on… Squabbles in Fairyland. Tears from Prince George. Chaos at the palace. Uh-oh – we suspect Jack Frost! Get in the mood for all things tiny and royal with this ice-cream-sundae gorgeous book.